An aspirant Bolshevik intellectual, Stalin was an avid reader. His reading focussed naturally on left-wing publications but from an early age he devoured the classics of Russian and western fiction – Tolstoy, Dostoevsky, Gogol, Chekhov, Shakespeare, Cervantes, Schiller, Heine, Hugo, Thackeray and Balzac. In the 1920s much of Stalin’s reading concentrated on the writings of his rivals in the struggle for the succession to Lenin – Trotsky, Zinoviev, Kamenev and Bukharin. Another preoccupation was the history of revolutionary movements in other countries. In the 1930s his attention switched to Soviet literature – to the post-revolutionary writings of Maxim Gorky, Alexander Fadeev, Aleksei Tolstoy, Iliya Ehrenburg, Isaac Babel and Mikhail Shokolov. Aside from revolutionary writings and fiction, Stalin also had enduring interests in History, Philosophy, Economics, Linguistics, Science and military affairs. After the Second World War he made a number of notable interventions in debates about genetics, military strategy, socialist economics and linguistic theory. Because of his peripatetic lifestyle as an underground revolutionary in Tsarist Russia Stalin did not begin to collect books and build a personal library until after the Russian Revolution and Civil War. In May 1925 he wrote to his aide and secretary I. Tovstukh outlining how he wanted his book collection to be classified. Stalin’s schema combined conventional library classification with categories that reflected his particular interests in the history, theory and leadership of revolutionary movements, including the works of anti-Bolshevik critics Karl Kautsky and Rosa Luxemburg as well as internal rivals Trotsky, Kamenev and Zinoviev. The inclusion of the French radical Paul Lafargue in the list of revolutionary leaders with a separate classification is somewhat surprising but Lafargue was Karl Marx’s son-in-law and famous among revolutionaries of Stalin’s generation for his utopian tract The Right to be Lazy (1880). Stalin had in mind quite a grandiose personal library, one that would contain a vast and diverse store of human knowledge, not just the humanities and social science but aesthetics, fiction and the natural sciences. Given the extent of the Bolsheviks’ antireligious campaigning in the 1920s the fact that the library contained what Stalin called anti-religious trash or pulp literature (антирелигиозную макулатуру) is not as surprising as his wish to retain rather than discard it. It is likely that Stalin envisioned his library as having a primary physical location. In the event his books came to be stored in a number of places – his Kremlin office and apartment and his two Moscow dachas at Zubalova and Kuntsevo. In the 1920s items in Stalin’s book collection were stamped Библиотека И.В. Сталина – “Library of J.V. Stalin” – and numbered, but this practice was discontinued in the 1930s. The other way of identifying a book, pamphlet or periodical as belonging to Stalin’s library was the presence of his autograph or some other annotation. The size of Stalin’s library is difficult to estimate. The accepted figure is c.20,000, the source being an article published in 1993 by Leonid Spirin, a consultant of the Institute of Marxism-Leninism, which was the recipient of the dictator’s books after Stalin’s death. According to Spirin, when Stalin died in 1953 the library contained about 19,500 books, pamphlets and periodicals. About 14,000 unstamped or unautographed books, mostly fiction, art books and atlases, were dispersed to other libraries, leaving a residue of c.5,500 items, including c.400 annotated items. The Institute of Marxism Leninism (IML) eventually morphed into RGASPI and that is where the annotated texts from Stalin’s library are now stored as Opis’3 of the Stalin fond. This collection is part of the Stalin Digital Archive. So far a good one third of Stalin’s annotated books, pamphlets and periodicals have been digitised and are available for inspection on the site, not just the pages of the publications that have annotations but the complete texts. Stalin acquired his books in various ways, including by borrowing them from other libraries and not returning them. In 1956 the Lenin Library asked for the return of 72 such books. However, when it was found that 62 of these books contained Stalin’s annotations other ways were found to compensate the Lenin Library for its losses. The 5000 or so unannotated items are stored at what was the library of the IML – Государственная Общественно-политическая Библиотека – the State Social-Political Library (SSPL) – in Moscow. The card catalogue of Stalin’s library books in the SSPL is divided into a number of sections. Firstly, a listing of 3747 texts with the Stalin library stamp; secondly, 587 texts with Stalin’s autograph (with or without the library stamp); thirdly, 189 items addressed to Stalin (some stamped and some not); fourthly 102 with a subject-heading written on them but no stamp or signature; and, fifthly, 347 with no stamp, autograph or subject-heading. There are also two smaller collections of books belonging to members of Stalin’s family and books originating in other libraries. None of the books in the two main collections (stamped and/or signed) post-date 1933, which suggests they are not, as Spirin suggests, the residue of the total holdings of Stalin’s library minus the 14,000 dispersed to other libraries but a subset from a particular location. One possibility is Stalin’s Zubalova dacha where he spent a lot of time in the 1920s. In 1934 Stalin acquired a new dacha, at Kuntsevo, which was designed to house a large number of books, and judging by photographs of the interior of the building it actually did. It is reasonable to assume that after 1933 acquisitions to Stalin’s library went to the new dacha – where he now spent most of his leisure time – as well as to his Kremlin apartment and office. What happened to the post-1933 books remains a mystery. Only the whereabouts of those in the annotated collection in RGASPI are known. There are various reports of books from Stalin’s library being in private hands but so far none of these have come into the public domain. Finally, it should be noted that there are a number of books in other opisi of the Stalin fond, which may be viewed on the SDA, too. Arguably, these should also be considered part of Stalin’s library. The catalogue of the texts in the SSPL is the best guide we have to Stalin’s non-fiction reading interests. A list of the texts in the first section of the catalogue – the 3747 stamped items – maybe found in the SDA here. As this list shows, Stalin’s library was overwhelmingly a Soviet library – a collection of post-1917 texts published in Soviet Russia. Most of the texts are books but there are also a large number of short, pamphlet-type publications. All the texts are in Russian and the great majority are written by Bolsheviks or other varieties of Marxists and Socialists. The most heavily featured author is Lenin (243 publications) and there are also numerous works about Lenin and Leninism. The most favoured authors after Lenin are Stalin (95), Zinoviev (55), Bukharin (50), Marx (50), Kamenev (37), Molotov (33), Trotsky (28), Kautsky (28), Engels (25), Rykov (24), Plekhanov (23), Lozovsky (22), Rosa Luxemburg (14), and Radek (14). It may be noted in passing that five of these authors (Zinoviev, Bukharin, Kamenve, Rykov, and Lozovsky were subsequently purged an executed by Stalin while Radek died in the Gulag and Trotsky was assassinated by a Soviet agent in Mexico in 1940. The collection also contains hundreds of reports of communist party congresses and conferences as well as those of associated organisations such as Comintern and Soviet trade unions. Apart from Rosa Luxemburg female authors are mostly notable for their absence but the collection does contain a number of works by the German communist, Clara Zetkin, and by Lenin’s widow Nadezhda Krupskyaya, as well as one of feminist Alexandra Kollantai’s early diaries. Apart from the works of Marx, Engels, Kautsky and Luxemburg, there are very few foreign translations in Stalin’s collection. Notable exceptions include translations into Russian of Winston Churchill’s book about the First World War, The World Crisis; three books by the German revisionist social democrat Eduard Bernstein; the German economist Karl Wilhelm Bucher’s Work and Rhythm; an early work by Karl Wittfogel on the ‘awakening’ of China; John Hobson’s Imperialism; Werner Sombart’s book about modern capitalism; some works of the founder of modern Turkey, Kemal Ataturk; the Italian Marxist Antonio Labriola on historical materialism; John Reed’s Insurgent Mexico; several works by the American writer Upton Sinclair, and the letters of executed US anarchists Sacco and Vanzetti. Among the many works on economics in the collection is a translation of Adam Smith’s The Wealth of Nations. Another theme of the collection is military theory and history. Among these books are Clausewitz’s On War, together with volumes by the holy trinity of interwar Soviet military strategy – Frunze, Svechin and Tukhachevsky. There is also a translation of Julian Stafford Corbett’s Some Principles of Maritime Strategy, originally published in English in 1911. Corbett was a British seapower theorist who emphasised the importance of control of the seas in war as opposed to the advocates of grand engagements with the enemy’s fleet. There is very little in the way of fiction but Stalin’s great interest in the history of the ancient world is reflected in the presence of a translation of Flaubert’s Salammbo, a novel set in Carthage at the time of the First Punic War. and Viktor Vinogradov, a Soviet literary theorist, who wrote a book about the evolution of naturalism in Russian literature. Vinogradov fell out of favour in the 1930s and was exiled to the provinces but he was brought back to Moscow after the Second World War when Stalin intervened in the Soviet linguistics controversy about the origin and nature of language. Made chief of the Institute of Linguistics Vinogradov was awarded a Stalin prize in 1951. The pattern of the publications found in this first section of the SSPL catalogue of Stalin’s library is replicated in the other sections. The only exception is that among the 347 items in the fifth section (unstamped, unmarked and with no subject-heading) there are a number of foreign language books, mostly in French, German or English. These include John Reed’s Ten Days that Shook the World; Alfred Kurella’s Mussolini: Ohne Maske (1931), a book about the Spanish civil war, Garibaldini in Spagna (1937), a signed copy of the 1935 edition of the Webbs’ Soviet Communism: A New Civilisation; various translations of works by Lenin, Stalin, Trotsky, Bukharin and Radek; and a photocopy of a description of the Madsen 20mm machine gun. Erik Van Ree’s view is that the absence of annotations by Stalin of the books in the SSPL means that he probably did not read them. Stalin, Van Ree argues, was an inveterate annotator not just of books but of any texts he read. However, the lack of annotations is not definitive proof that he did not read or browse a particular text. Among the annotated collection of Stalin’s books – dealt with below – there are many examples of minimal annotation indicative of limited reading of the text. In the absence of even that skimpy annotation the conclusion might have been drawn that he hadn’t read the text when he had, or at least looked at it. Moreover, Stalin displayed knowledge and interests which indicate that it is likely he paid some attention to particular texts even if he did not read and annotate them. For example, Stalin was very knowledgeable about naval affairs. It seems unlikely that he did not at least have a look at the copy of Corbett’s book in his library. The annotated collection of Stalin’s library consists of 391 books, periodicals and pamphlets. Like the SSPL collection it is dominated by Marxist and Bolshevik literature, especially the works of Marx, Engels, Lenin and Stalin himself. According to Van Ree’s count about three-quarters of the titles are concerned with communist ideology and tactics. The other major categories are history (36), economics (27) and military affairs (23). There are also several texts about diplomacy, including a translation of Harold Nicholson’s classic work on the subject. Unlike the SSPH collection the annotated collection does contain a number of pre-1917 publications, including the heavily annotated works of the historian Robert Vipper and the Tsarist military strategist Genrykh Leer. Robert Vipper (1859-1954) was a diverse historian but what caught Stalin’s eye were his works on the ancient world, which focussed on the social and economic history of classical Greece and the Roman empire. In 1922 Vipper published a study of Ivan the Terrible, the second edition of which was published during the Second World War and became a favoured patriotic text of Stalin and the Soviet authorities. No edition of this text has been found among Stalin’s library holdings but it seems unlikely that he didn’t have a copy given his great interest in Ivan the Terrible. The Tsarist military office and educator Genrykh Leer (1829-1904) is a more obscure figure than Vipper but in his time he was considered by many to be the Russian Clausewitz. 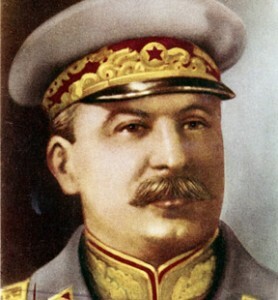 Leer’s books on strategy were the foundation of the military education of generations of Tsarist and even Bolshevik officers. Doubtless what appealed to Stalin about Leer was his emphasis on the scientific principles underlying the conduct of modern warfare – a theme echoed in the dictator’s own pronouncements about military strategy. If you include revolutionary history and military history then historical works are by far the most frequent category of books in Stalin’s annotated collection apart from the Marxist classics. As well as ancient and medieval history Stalin’s historical interests were heavily focussed on Russia. Among his Russian history collection there are several Soviet school textbooks, which he edited rather than annotated, presumably with a view to improving their pedagogical content, a concern that may have been encouraged by the fact that his own son and daughter were undergoing secondary education in the 1930s. Economics was another subject on which Stalin was keen to correct textbook writers but here his target was texts aimed at the education of party cadres. Another category of books that interested Stalin was memoirs and diaries. Among the books read and annotated by Stalin are the memoirs of the British intelligence agent, R.H. Bruce-Lockhart, the First World War German General Erich Lundendorff, and Annabelle Bucar, who defected to the Soviet Union from the American embassy in Moscow in 1948 and became a star of Radio Moscow’s English-language broadcasting service. Stalin annotated his books in diverse ways. Some books he read and annotated in detail, others more cursorily. His annotations were sometimes passive and sometimes active. He treated some authors and texts with more respect than others. The meaning and significance of Stalin’s annotations are not always clear and in many instances trivial. The next section of this guide to Opis’ 3 will analyse and exemplify Stalin’s annotations using material accessible on the SDA. R. Medvedev, Chto Chital Stalin? Prava Cheloveka: Moscow 2005 p.33 ff. B. Ilizarov, Tainaya Zhizn’ Stalina, Veche: Moscow 2003, part one, chap.2. The highest number I have come across in my researches is a copy of Alexander Svechin’s book on the history of military art published in 1922 which is numbered 4643. L. Spirin, “Glazami Knig Lichnaya Biblioteka Stalina”, Nezavisimaya Gazeta. 25 May 1993. S. Devyatov, A. Shefov, U. Ur’ev, Blizhnyaya Dacha Stalina, Kremlin Multimedia: Moscow 2011 pp.191-219. Адам Смит, Исследование о природе и причинных богатства народов, М,-Л., Соцэкгиз, 1931. A second copy of the Clausewitz maybe found in the annotated collection but the two volumes have hardly annotations. В.В Виноградов, Эволюция русского натурализма. Гоголь и Достоевский, “ACADEMIA”, 1929; Л. Н. Войтоловский Очерки коллективной психологии. Часть 1-2. Госиздат, 1924 -1925; М. Острогорский, Демократия и политические партии, М., Ком. Акад., 1927. E. Van Ree, “Stalin and Marxism: A Research Note”, Studies in East European Thought, vol.49, 1997 pp.23-33. Р. Виппер, История Греции в классическую эпоху, Москва 1916; Древняя Европа и восток, Москва: 1923; Очерки римской империи, Москва 1908. Г. Леер, Метод военных наук, б/д. ; Опыт критико-исторического исследования законов искусства ведения войны, Ч.I. Петербург: 1869;Сложные операции, Петербург: 1892; Стратегия, Ч.I. Петербург:1885. See H. Graham, “R. Iu. Vipper: A Russian Historian in Three Worlds”, Canadian Slavonic Papers / Revue Canadienne des Slavistes, Vol. 28, No. 1 (March 1986) and M. Perrie, The Cult of Ivan the Terrible in Stalin’s Russia, Palgrave: London 2002. P. von Wahlde, “A Pioneer of Russian Strategic Thought: G.A. Leer, 1829—1904,” Military Affairs, vol.35 (December 1971). О. Жемчужина и С. Глязер, Элементарный курс истории СССР, Москва 1937; И.И., Минц, Е.А Мороховец. и др. Элементарный курс истории ССС (для начальной школы), Москва 1935; З.Б., Лозинский, Бернадский З.Б., и др. Элементарный курс Истории СССР. Учебник для начальной школы, Ленинград 1935. This entry was posted in Uncategorized on May 22, 2015 by Alfonso Casal. The idea that visitors in a public library might be able to pore over Stalin’s personal marginalia was unimaginable two decades ago. 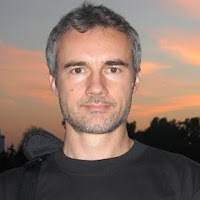 Vadim Staklo graduated from Moscow State University with a degree in the History of Latin America in 1988. After working in the USSR, he traveled to the University of Pittsburgh in 1993, where he first earned a Masters and then PhD in Latin American and Soviet history. Since 1997 he has worked for Yale University Press, and is currently editor for a broad list of titles, ranging from books on Johnson, Boswell and Benjamin Franklin to projects on Russian, Soviet and Eastern European history, from theAnnals of Communism series to Eurasia Past and Present and beyond. Twenty-four more books have followed since, including Arch Getty’s influential The Road to Terror, Matthew Lenoe’s The Kirov Murder and Anne Applebaum’s Gulag Voices. Staklo describes the format as “documentary monographs” — translated source materials appear in their original form, but accompanied by an author narrative setting context. Perhaps the most unusual of all these monographs is the collection of doodles by Bolshevik leaders Piggy Foxy and the Sword of Revolution. Meanwhile the idea of finding scholarly treasure in the margins of old soviet documents would take a new twist in the early 2000s as much of Stalin’s personal archive was being opened to scholars. Of course, a document without context is of limited use, and as with the Annals of Communismseries, prominent scholars of USSR history have been invited to participate in the digital project. “So far a dozen prominent experts have committed to research these thematic modules,” says Staklo, “So that in future non-specialists will be able to browse and read the archive. We want to create something educated, ordinary people can use without special preparation in archival work. The plan is to offer it by subscription, not only to research institutions and libraries but possibly also to schools and individual subscribers”. After an exchange of greetings and a discussion of general topics, the following conversation took place. Comrade Mao Zedong: The most important question at the present time is the question of establishing peace. China needs a period of 3-5 years of peace, which would be used to bring the economy back to pre-war levels and to stabilize the country in general. Decisions on the most important questions in China hinge on the prospects for a peaceful future. With this in mind the CC CPC [Central Committee of the Communist Party of China] entrusted me to ascertain from you, comr[ade]. Stalin, in what way and for how long will international peace be preserved. Comrade Stalin: In China a war for peace, as it were, is taking place. The question of peace greatly preoccupies the Soviet Union as well, though we have already had peace for the past four years. With regards to China, there is no immediate threat at the present time: Japan has yet to stand up on its feet and is thus not ready for war; America, though it screams war, is actually afraid of war more than anything; Europe is afraid of war; in essence, there is no one to fight with China, not unless Kim Il Sung decides to invade China? Peace will depend on our efforts. If we continue to be friendly, peace can last not only 5-10 years, but 20-25 years and perhaps even longer. Comrade Mao Zedong: Since Liu Shaoqi’s return to China, CC CPC has been discussing the treaty of friendship, alliance and mutual assistance between China and the USSR. Comrade Stalin: This question we can discuss and decide. We must ascertain whether to declare the continuation of the current 1945 treaty of alliance and friendship between the USSR and China, to announce impending changes in the future, or to make these changes right now. As you know, this treaty was concluded between the USSR and China as a result of the Yalta Agreement, which provided for the main points of the treaty (the question of the Kurile Islands, South Sakhalin, Port Arthur, etc.). That is, the given treaty was concluded, so to speak, with the consent of America and England. Keeping in mind this circumstance, we, within our inner circle, have decided not to modify any of the points of this treaty for now, since a change in even one point could give America and England the legal grounds to raise questions about modifying also the treaty’s provisions concerning the Kurile Islands, South Sakhalin, etc. This is why we searched to find a way to modify the current treaty in effect while formally maintaining its provisions, in this case by formally maintaining the Soviet Union’s right to station its troops at Port Arthur while, at the request of the Chinese government, actually withdrawing the Soviet Armed forces currently stationed there. Such an operation could be carried out upon China’s request. One could do the same with KChZhD [Chinese Changchun Railroad, which traverses Manchuria], that is, to effectively modify the corresponding points of the agreement while formally maintaining its provisions, upon China’s request. If, on the other hand, the Chinese comrades are not satisfied with this strategy, they can present their own proposals. Comrade Mao Zedong: The present situation with regard to KChZhD and Port Arthur corresponds well with Chinese interests, as the Chinese forces are inadequate to effectively fight against imperialist aggression. In addition, KChZhD is a training school for the preparation of Chinese cadres in railroad and industry. Comrade Stalin: The withdrawal of troops does not mean that Soviet Union refuses to assist China, if such assistance is needed. The fact is that we, as communists, are not altogether comfortable with stationing our forces on foreign soil, especially on the soil of a friendly nation. Given this situation anyone could say that if Soviet forces can be stationed on Chinese territory, then why could not the British, for example, station their forces in Hong Kong, or the Americans in Tokyo? We would gain much in the arena of international relations if, with mutual agreement, the Soviet forces were to be withdrawn from Port Arthur. In addition, the withdrawal of Soviet forces would provide a serious boost to Chinese communists in their relations with the national bourgeoisie. Everyone would see that the communists have managed to achieve what [Nationalist Chinese leader] Jiang Jieshi [Chiang Kai-shek] could not. The Chinese communists must take the national bourgeoisie into consideration. The treaty ensures the USSR’s right to station its troops in Port Arthur. But the USSR is not obligated to exercise this right and can withdraw its troops upon Chinese request. However, if this is unsuitable, the troops in Port Arthur can remain there for 2, 5, or 10 years, whatever suits China best. Let them not misunderstand that we want to run away from China. We can stay there for 20 years even. Comrade Mao Zedong: In discussing the treaty in China we had not taken into account the American and English positions regarding the Yalta agreement. We must act in a way that is best for the common cause. This question merits further consideration. However, it is already becoming clear that the treaty should not be modified at the present time, nor should one rush to withdraw troops from Port Arthur. Should not Zhou Enlai visit Moscow in order to decide the treaty question? Comrade Stalin: No, this question you must decide for yourselves. Zhou may be needed in regard to other matters. Comrade Mao Zedong: We would like to decide on the question of Soviet credit to China, that is to draw up a credit agreement for 300.000.000 dollars between the governments of the USSR and China. Comrade Stalin: This can be done. If you would like to formalize this agreement now, we can. Comrade Mao Zedong: Yes, exactly now, as this would resonate well in China. At the same time it is necessary to resolve the question of trade, especially between the USSR and Xinjiang [Sinkiang], though at present we cannot present a specific trade operations plan for this region. Comrade Stalin: We must know right now what kind of equipment China will need, especially now, since we do not have equipment in reserve and the request for industrial goods must be submitted ahead of time. Comrade Mao Zedong: We are having difficulties in putting together a request for equipment, as the industrial picture is as yet unclear. Comrade Stalin: It is desirable to expedite the preparation of this request, as requests for equipment are submitted to our industry at least a year in advance. Comrade Mao Zedong: We would very much like to receive assistance from the USSR in creating air transportation routes. Comrade Stalin: We are ready to render such assistance. Air routes can be established over Xinjiang and the MPR [Mongolian People’s Republic]. We have specialists. We will give you assistance. Comrade Mao Zedong: We would also like to receive your assistance in creating a naval force. Comrade Stalin: Cadres for Chinese navy could be prepared at Port Arthur. You give us people, and we will give you ships. Trained cadres of the Chinese navy could then return to China on these ships. Comrade Mao Zedong: Guomindang [Kuomintang] supporters have built a naval and air base on the island of Formosa [Taiwan]. Our lack of naval forces and aviation makes the occupation of the island by the People’s Liberation Army [PLA] more difficult. With regard to this, some of our generals have been voicing opinions that we should request assistance from the Soviet Union, which could send volunteer pilots or secret military detachments to speed up the conquest of Formosa. Comrade Stalin: Assistance has not been ruled out, though one ought to consider the form of such assistance. What is most important here is not to give Americans a pretext to intervene. With regard to headquarters staff and instructors we can give them to you anytime. The rest we will have to think about. Do you have any assault landing units? Comrade Mao Zedong: We have one former Guomindang assault landing regiment unit which came over to join our side. Comrade Stalin: One could select a company of landing forces, train them in propaganda, send them over to Formosa, and through them organize an uprising on the isle. Comrade Mao Zedong: Our troops have approached the borders of Burma and Indo-China. As a result, the Americans and the British are alarmed, not knowing whether we will cross the border or whether our troops will halt their movement. Comrade Stalin: One could create a rumor that you are preparing to cross the border and in this way frighten the imperialists a bit. Comrade Mao Zedong: Several countries, especially Britain, are actively campaigning to recognize the People’s Republic of China. However, we believe that we should not rush to be recognized. We must first bring about order to the country, strengthen our position, and then we can talk to foreign imperialists. Comrade Stalin: That is a good policy. In addition, there is no need for you to create conflicts with the British and the Americans. If, for example, there will be a need to put pressure on the British, this can be done by resorting to a conflict between the Guangdong province and Hong Kong. And to resolve this conflict, Mao Zedong could come forward as the mediator. The main point is not to rush and to avoid conflicts. Are there foreign banks operating in Shanghai? Comrade Stalin: And whom are they serving? Comrade Mao Zedong: The Chinese national bourgeoisie and foreign enterprises which so far we have not touched. As for the foreigners’ spheres of influence, the British predominate in investments in the economic and commercial sectors, while the Americans lead in the sector of cultural-educational organizations. Comrade Stalin: What is the situation regarding Japanese enterprises? Comrade Mao Zedong: They have been nationalized. Comrade Stalin: In whose hands is the customs agency? Comrade Mao Zedong: In the hands of the government. Comrade Stalin: It is important to focus attention on the customs agency as it is usually a good source of government revenue. Comrade Mao Zedong: In the military and political sectors we have already achieved complete success; as for cultural and economic sectors, we have as yet not freed ourselves from foreign influence there. Comrade Stalin: Do you have inspectors and agents overseeing foreign enterprises, banks, etc.? Comrade Mao Zedong: Yes, we have. We are carrying out such work in the study and oversight of foreign enterprises (the Kailan [?] mines, electric power plants and aqueducts in Shanghai, etc.). Comrade Stalin: One should have government inspectors who must operate legally. The foreigners should also be taxed at higher levels than the Chinese. Who owns the enterprises mining wolfram [tungsten], molybdenum, and petroleum? Comrade Mao Zedong: The government. Comrade Stalin: It is important to increase the mining of minerals and especially of petroleum. You could build an oil pipeline from western Lanzhou to Chengdu [? ], and then transport fuel by ship. Comrade Mao Zedong: So far we have not decided which districts of China we should strive to develop first – the coastal areas or those inland, since we were unsure of the prospects for peace. Comrade Stalin: Petroleum, coal, and metal are always needed, regardless of whether there be war or not. Comrade Stalin: Can rubber-bearing trees be grown in southern China? Comrade Mao Zedong: So far it has not been possible. Comrade Stalin: Is there a meteorological service in China? Comrade Mao Zedong: No, it has not been established yet. Comrade Stalin: It should be established. Comrade Stalin: We would like to receive from you a list of your works which could be translated into Russian. Comrade Mao Zedong: I am currently reviewing my works which were published in various local publishing houses and which contain a mass of errors and misrepresentations. I plan to complete this review by spring of 1950. However, I would like to receive help from Soviet comrades: first of all, to work on the texts with Russian translators and, secondly, to receive help in editing the Chinese original. Comrade Stalin: This can be done. However, do you need your works edited? Comrade Mao Zedong: Yes, and I ask you to select a comrade suitable for such a task, say, for example, someone from CC VKP/b/ [All-Union Communist Party of bolsheviks]. Comrade Stalin: It can be arranged, if indeed there is such a need. Also present at the meeting: comrs. Molotov, Malenkov, Bulganin, Vyshinskii, [Soviet translator N.T.] Fedorenko and [Chinese translator] Shi Zhe /Karskii/. This entry was posted in Uncategorized on May 21, 2015 by Alfonso Casal. Article I. Both High Contracting Parties obligate themselves to desist from any act of violence, any aggressive action, and any attack on each other, either individually or jointly with other Powers. Article II. Should one of the High Contracting Parties become the object of belligerent action by a third Power, the other High Contracting Party shall in no manner lend its support to this third Power. Article III. The Governments of the two High Contracting Parties shall in the future maintain continual contact with one another for the purpose of consultation in order to exchange information on problems affecting their common interests. Article IV. Should disputes or conflicts arise between the High Contracting Parties shall participate in any grouping of Powers whatsoever that is directly or indirectly aimed at the other party. Article V. Should disputes or conflicts arise between the High Contracting Parties over problems of one kind or another, both parties shall settle these disputes or conflicts exclusively through friendly exchange of opinion or, if necessary, through the establishment of arbitration commissions. Article VI. The present Treaty is concluded for a period of ten years, with the proviso that, in so far as one of the High Contracting Parties does not advance it one year prior to the expiration of this period, the validity of this Treaty shall automatically be extended for another five years. Article VII. The present treaty shall be ratified within the shortest possible time. The ratifications shall be exchanged in Berlin. The Agreement shall enter into force as soon as it is signed. [The section below was not published at the time the above was announced. ]Secret Additional Protocol. Article I. In the event of a territorial and political rearrangement in the areas belonging to the Baltic States (Finland, Estonia, Latvia, Lithuania), the northern boundary of Lithuania shall represent the boundary of the spheres of influence of Germany and U.S.S.R. In this connection the interest of Lithuania in the Vilna area is recognized by each party. Article II. In the event of a territorial and political rearrangement of the areas belonging to the Polish state, the spheres of influence of Germany and the U.S.S.R. shall be bounded approximately by the line of the rivers Narev, Vistula and San. The question of whether the interests of both parties make desirable the maintenance of an independent Polish States and how such a state should be bounded can only be definitely determined in the course of further political developments. Article III. With regard to Southeastern Europe attention is called by the Soviet side to its interest in Bessarabia. The German side declares its complete political disinteredness in these areas. Article IV. This protocol shall be treated by both parties as strictly secret. This entry was posted in Uncategorized on May 20, 2015 by Alfonso Casal. This entry was posted in Uncategorized on May 18, 2015 by Alfonso Casal. Kazakhstan’s last full-size statue of Joseph Stalin has been rebuilt after resourceful villagers clubbed together to raise funds, it’s reported. The statue was toppled not by revolution, but by a storm which whipped through the southern village of Eski Ikan last summer. It had stood for 60 years in tribute to the Soviet dictator who, despite imposing famine and oppression on Kazakhstan in the 1930s, remains popular among villagers as a war leader, the Otyrar website reports. 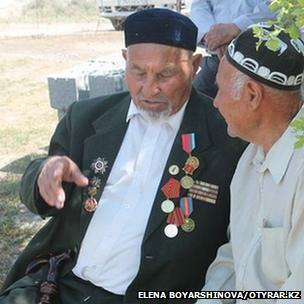 Murat Yoldoshev’s father helped haul the statue into place in 1954, and says the villagers bought the entire plot after Kazakhstan became independent, in order to protect it from the diggers. But not, it turns out, from high winds. Mr Yoldoshev says the authorities were unwilling to repair the statue, so the villagers turned to social media to raise funds. A businessman paid for the building materials and sculptors, local people sorted out the plinth, and an elder donated the land. This entry was posted in Uncategorized on May 16, 2015 by Alfonso Casal. Papers which were kept secret for almost 70 years show that the Soviet Union proposed sending a powerful military force in an effort to entice Britain and France into an anti-Nazi alliance. Such an agreement could have changed the course of 20th century history, preventing Hitler’s pact with Stalin which gave him free rein to go to war with Germany’s other neighbours. The offer of a military force to help contain Hitler was made by a senior Soviet military delegation at a Kremlin meeting with senior British and French officers, two weeks before war broke out in 1939. The new documents, copies of which have been seen by The Sunday Telegraph, show the vast numbers of infantry, artillery and airborne forces which Stalin’s generals said could be dispatched, if Polish objections to the Red Army crossing its territory could first be overcome. But the British and French side – briefed by their governments to talk, but not authorised to commit to binding deals – did not respond to the Soviet offer, made on August 15, 1939. Instead, Stalin turned to Germany, signing the notorious non-aggression treaty with Hitler barely a week later. The Molotov-Ribbentrop Pact, named after the foreign secretaries of the two countries, came on August 23 – just a week before Nazi Germany attacked Poland, thereby sparking the outbreak of the war. But it would never have happened if Stalin’s offer of a western alliance had been accepted, according to retired Russian foreign intelligence service Major General Lev Sotskov, who sorted the 700 pages of declassified documents. “This was the final chance to slay the wolf, even after [British Conservative prime minister Neville] Chamberlain and the French had given up Czechoslovakia to German aggression the previous year in the Munich Agreement,” said Gen Sotskov, 75. The Soviet offer – made by war minister Marshall Klementi Voroshilov and Red Army chief of general staff Boris Shaposhnikov – would have put up to 120 infantry divisions (each with some 19,000 troops), 16 cavalry divisions, 5,000 heavy artillery pieces, 9,500 tanks and up to 5,500 fighter aircraft and bombers on Germany’s borders in the event of war in the west, declassified minutes of the meeting show. But Admiral Sir Reginald Drax, who lead the British delegation, told his Soviet counterparts that he authorised only to talk, not to make deals. When asked what forces Britain itself could deploy in the west against possible Nazi aggression, Admiral Drax said there were just 16 combat ready divisions, leaving the Soviets bewildered by Britain’s lack of preparation for the looming conflict. The Soviet attempt to secure an anti-Nazi alliance involving the British and the French is well known. But the extent to which Moscow was prepared to go has never before been revealed. Simon Sebag Montefiore, best selling author of Young Stalin and Stalin: The Court of The Red Tsar, said it was apparent there were details in the declassified documents that were not known to western historians. The declassified archives – which cover the period from early 1938 until the outbreak of war in September 1939 – reveal that the Kremlin had known of the unprecedented pressure Britain and France put on Czechoslovakia to appease Hitler by surrendering the ethnic German Sudetenland region in 1938. “At every stage of the appeasement process, from the earliest top secret meetings between the British and French, we understood exactly and in detail what was going on,” Gen Sotskov said. Shortly before the notorious Munich Agreement of 1938 – in which Neville Chamberlain, the British prime minister, effectively gave Hitler the go-ahead to annexe the Sudetenland – Czechoslovakia’s President Eduard Benes was told in no uncertain terms not to invoke his country’s military treaty with the Soviet Union in the face of further German aggression. “Chamberlain knew that Czechoslovakia had been given up for lost the day he returned from Munich in September 1938 waving a piece of paper with Hitler’s signature on it,” Gen Sotksov said. The top secret discussions between the Anglo-French military delegation and the Soviets in August 1939 – five months after the Nazis marched into Czechoslovakia – suggest both desperation and impotence of the western powers in the face of Nazi aggression. Poland, whose territory the vast Russian army would have had to cross to confront Germany, was firmly against such an alliance. Britain was doubtful about the efficacy of any Soviet forces because only the previous year, Stalin had purged thousands of top Red Army commanders. The documents will be used by Russian historians to help explain and justify Stalin’s controversial pact with Hitler, which remains infamous as an example of diplomatic expediency. “It was clear that the Soviet Union stood alone and had to turn to Germany and sign a non-aggression pact to gain some time to prepare ourselves for the conflict that was clearly coming,” said Gen Sotskov. A desperate attempt by the French on August 21 to revive the talks was rebuffed, as secret Soviet-Nazi talks were already well advanced. It was only two years later, following Hitler’s Blitzkreig attack on Russia in June 1941, that the alliance with the West which Stalin had sought finally came about – by which time France, Poland and much of the rest of Europe were already under German occupation. This entry was posted in Uncategorized on May 13, 2015 by Alfonso Casal. By equating the Soviet Union to Nazi Germany and Joseph Stalin to Adolf Hitler, Ukrainian politicians and their Western supporters are trying to cover-up their own shameful history, American professor Grover Carr Furr told Sputnik. Law 2558, adopted by the Verkhovna Rada on April 9, 2015, stipulates that those who deny “the criminal character of the communist totalitarian regime of 1917-1991 in Ukraine” may face criminal prosecution. At the same time the Ukrainian parliament proclaimed the Organization of Ukrainian Nationalists (OUN) and Ukrainian Insurgent Army (UPA) “fighters for Ukrainian independence,” and restricted questioning the legitimacy of their actions during the Second World War. Curiously enough, the majority of Western leaders have not rushed to condemn Kiev’s initiative with the exception of a few prominent scholars and experts, who expressed their deep concerns regarding honoring the notorious Nazi collaborators. And it is hardly surprising, deems Professor Grover Carr Furr, a prominent American historian, author and expert in Soviet history. “This is nothing new. The United States permitted Ukrainian fascists to flee the Red Army to the USA, Canada, and elsewhere [after the Second World War]. The US CIA funded Ukrainian Nationalist research groups, newspapers, and of course spies,” the professor told Sputnik. “In short, the USA (and Canada, in an even larger way) spent a lot of money supporting Ukrainian fascists after 1945. When the USSR broke up the US began to get its money’s worth. The Ukrainian nationalists – the OUN, former UPA, and so on – flooded back to Ukraine after 1991. They soon captured the universities and education generally,” Professor Furr noted. The historian emphasized that the post-war claims of the OUN-UPA to have fought Nazi Germany have collapsed under careful scrutiny. “Some scholars have looked for evidence that the OUN-UPA fought the Germans, but can’t find any. And the Nazis let [Stepan] Bandera and [Roman] Shukhevich out of prison in 1944 [and 1943, respectively] in order to enlist them to fight the Red Army. If the OUN-UPA had been fighting the Germans, they’d have been shot, not released,” the professor remarked. The OUN and its UPA military wing were behind the massacre of about 100,000 Poles in Volhynia and Eastern Galicia, the Khatyn mass murder in Belarus and involved in the hideous Holocaust cleansing. “The Ukrainian OUN-UPA fighters were Nazi collaborators and fascist murderers. They deserve zero respect,” Professor Grover Furr stated. However, “Mykola Lebed [who was responsible for the murder of Poles in Volhynia and Eastern Galicia] lived in Queens, New York, until the 1990s, totally supported by the CIA or State Department. Why would the US change its policies now?” Professor Grover C. Furr noted with a bitter irony. The new Kiev legislation is not the first attempt aimed at equating Communism and Nazism: pro-nationalist Ukrainian scholars have been systematically spreading myths of the Soviet crimes against Ukrainians since the end of the Second World War. One of these well-known attempts to rewrite Soviet history is a “Holodomor” hoax. “In 1987 the film “Harvest of Despair” was made. It was the beginning of the ‘Holodomor’ hoax. The film was entirely funded by Ukrainian Nationalists, mainly in Canada. A Canadian scholar, Douglas Tottle, exposed the fact that the film took photographs from the 1921-22 ‘Volga famine’ and used them to illustrate the 1932-33 famine. Tottle later wrote a book, ‘Fraud, Famine, and Fascism: The Ukrainian Genocide Myth from Hitler to Harvard,’ about the phony ‘Holodomor’ issue,” Professor Grover Furr told Sputnik. Furthermore, American professor Mark B. Tauger has done groundbreaking research on the Famine of 1932-33, and come to the conclusion that the disaster was due to environmental circumstances at the time and was not related to the Soviet policy in the region, Professor Furr emphasized. Warsaw, which surprisingly failed to blast Kiev for its initiative to honor the OUN-UPA insurgents, is also supporting Ukraine’s anti-Soviet sentiment. Warsaw has got its own skeletons in the closet: for instance, blasting the Soviet government for the Katyn massacre, Polish historians remain silent about the fate of 18,000 – 60,000 Red Army soldiers who died in Polish captivity in 1920s. “There is good documentation that they [the Soviet POWs] were treated brutally, starved, frozen, and many of them murdered outright,” Grover C. Furr pointed out. Slamming the USSR for the Molotov-Ribbentrop non-aggression treaty, signed in 1939, Polish scholars apparently forgot that Poland’s First Marshall Jozef Pilsudski concluded the German-Polish Pact with Hitler five years earlier, in January 1934. While in 1938, Poland took part in the infamous partition of Czechoslovakia together with Nazi Germany. “Then there are all the crimes of the Polish underground, the Armia Krajowa, and the post-war Polish underground. The AK collaborated with the Nazis, for example. They continued to murder Jews and communists, mainly Poles, after the war for years,” the professor underscored. “The only way to cover up as much of this shameful history as possible, and rationalize the rest of it, is to claim that the USSR was “just as bad as” the Nazis,” Grover C. Furr elaborated. Meanwhile in 2010, another American scholar Timothy Snyder published a study, translated into more than 25 languages, in which he blatantly equated the Soviet Union to Nazi Germany. In response, Grover C. Furr wrote his book “Blood Lies,” debunking a series of widespread myths about the USSR and exposing an astonishing lack of evidence for many of anti-Russia accusations presented by Professor Snyder. By rewriting the history of the Second World War, downplaying the significance of the Soviet Union’s role in defeating Nazi Germany and manipulating the Soviet past, the West is targeting today’s Russia. This entry was posted in Uncategorized on May 10, 2015 by Alfonso Casal. In Rio de Janeiro, Santa Luzia Avenue – near Churchill Avenue and Roosevelt Avenue – has been renamed Marshall Joseph Stalin Avenue by local communists, including the Popular Brigades, Marxist-Leninist Communist Party (PCML), and ICMLPO member Revolutionary Communist Party (PCR).